The traditional enterprise storage upgrade cycle imposes significant burdens on data centers in terms of risk, expense and waste—and is in desperate need of a revamp. So, where can businesses look for help in this matter? 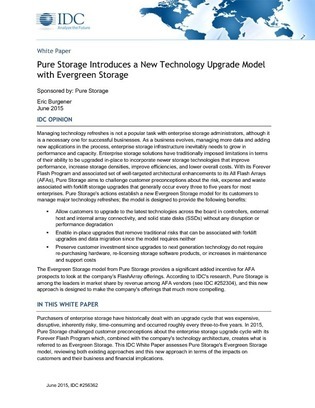 The following exclusive white paper introduces a flash maintenance program that is designed to offer customers a way to keep their storage up-to-date, lower costs significantly over a newly extended enterprise storage life cycle, and remove the risk, downtime, and hassle associated with forklift upgrades and time-consuming data migrations.